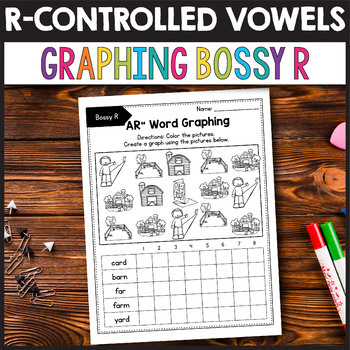 Are you looking for an engaging way to help your students practice and master r-controlled vowel words? 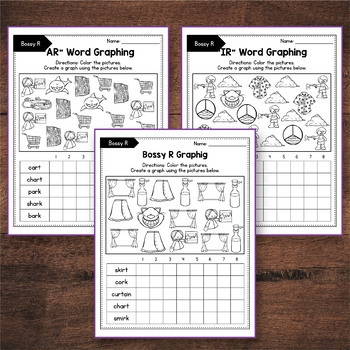 Your students will use these NO PREP r controlled vowels worksheets to practice words that contain: AR, ER, IR, OR and UR. 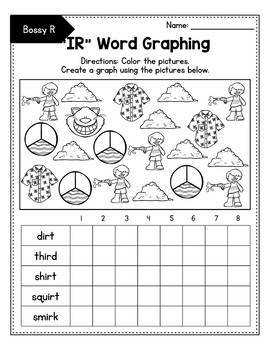 Your students will have create a graph using the r-controlled vowel word pictures. This set includes reference cards so you can easily find out what a picture is. This packet meets Common Core Standards. 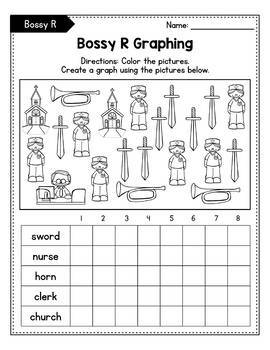 The pages can be reproduced only for classroom use. You cannot use these pages for commercial purposes or the entire school. I really appreciate you purchasing my teaching resources and I hope you'll enjoy using them in your classroom. Please FOLLOW ME HERE if you'd like to receive notifications when I upload new products and freebies. Don't forget, new products are 50% off for 48 hours after they are posted! If you have any question please send me an email at alinavvvdesign@gmail.com .